GoDaddy recently announced that it has completed two years of business in India. These two years have been exceptionally good for them in India and their growth in the Indian market has been exponential. GoDaddy is a market leader in providing technology to small businesses. The company maintains that it is dedicated to the cause of providing affordable webhosting solutions to small businesses. They see it as a mission to enable the small businesses to go online with confidence and to achieve a sustainable growth. They aim to empower small business owners with knowledge to create an online presence and maximize their business profits. GoDaddy is world's top most domain name registrar and is particularly known for its exemplary customer care services throughout the world. With its head office in Scottsdale, Arizona, USA , GoDaddy is providing various services to more than 12 million satisfied customers, worldwide. In India , within two years of its launch, GoDaddy has set up its largest international office here. GoDaddy has also launched an ad campaign in India which targets small businesses specifically and encourages to shed all inhibitions and go online to increase their business. They have directed all their endeavors towards inspiring the small business owner to go online. With the same motive, GoDaddy has also introduced two products which will target the precise requirements of small businesses. These are Microsoft Office 365 and Starter web hosting plan. Microsoft office 365 is a very easy way to stay connected and maximizing the output of the small business. It is a professional email basically and gives a unique opportunity to small business owners to stay connected to their business all the time. Starting at a very small price of Rs. 149.00 , office365 is a very easy and convenient way to get your work done from anywhere at any time. With GoDaddy you do not need to know the technical details , the setup is easy. 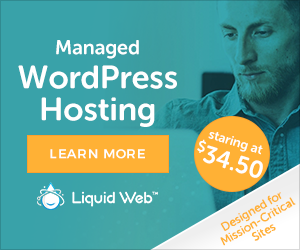 The other product, which is the starter plan for website hosting is a great option for those who are taking baby steps in online world and are looking for cheap, fast, simple and reliable web hosting solution. You can host a single website at as low a price as Rs. 125.00 per month. Small businesses can benefit from this and get a website specially designed for them. The customer support team is always there to help out. There are any number of small business owners in different parts of the country who have gone online with GoDaddy and are extremely happy with their decision. You can find a huge pile of testimonials, both online and in print media, of GoDaddy clients and they all have one thing in common to say, that their experience with GoDaddy has been very good and rewarding. The clients also say that the customer care deserves a special mention as they have been helpful and their entire focus is on enabling the small business owner to feel comfortable and happy in going online and thriving there. GoDaddy has its future plans in place to continue delivering its good services in India and world over.